An authentic Cantonese banquet dinner, which typically consists of no fewer than 12 dishes, is served in family style for major celebratory events such as wedding, family reunion, Chinese New Year or fund-raising for charities. Depending on the host's budget and eagerness to impress their guests, the price tag for both alcoholic beverage and food per guest (usually between 10 and 12 guests per table) that is charged by the restaurant varies from $50 to $200. Just like everything else, different grades of ingredients used in the banquet drive the price disparity. The banquet dishes that are introduced here are priced at the lower-end, averaging $75 per guest. The sequence of the dishes - appetizers, entrees and dessert, should not be strictly applied to the banquet dinner, as you may find a bit heavier dishes served up-front and carb-loaded dishes (e.g., rice and noodles) served last. This doesn't sound like a typical Chinese appetizer. However, Cantonese dishes are famous for being creative and versatile, and often are "fusioned" with other cuisines. For this salad, a Japanese mayonnaise, a lighter version of the American counterpart, was used to lightly coat the chopped pears, peaches and apples. Garnished with tomato and boiled egg slices, as well as bacon pieces, this salad is light, salty, crunchy but without crowding your palate. Restaurant patrons often see Cantonese BBQ prominently displayed through the restaurant windows in Chinatown. This BBQ dish has slices of roasted whole piglet with crispy skin, duck and pork tenderloin, nicely garnished with soya and sesame oil coated seaweed stripes. The family style allows you to taste a piece or two of each type of meat and leave amble room for more dishes to come. Also, the hanging roasting method used in Cantonese BBQ drips all the fat and grease off the meat, making it healthier. Stir-fried celery with razor clams and shrimps OK, I'll not call it a complete Cantonese banquet dinner without a few seafood dishes, lovely complemented with the stir-fried cooking in cast-iron woks. Razor clams and shrimps were first lightly coated with a bit cornstarch, which was mixed with water to allow for smooth mouth feel, and lightly quick fried in oil. The quick stir-fry technique, renowned in Cantonese cooking, distributes the heat evenly to cook the celery, razor clams and shrimps, allowing the "wok-chi" to come through. "Wok-chi" is the unique aroma and golden brown color on the food resulting from high-heat, quick stir-fry. 2010 Pacific Peaks Cellars Willamette Valley Pinot Noir is ripe yet elegant, medium bodied, smooth tannin, and infused with raspberry and wild flower notes, and perfectly complements versatile appetizers. This wine is raised in French barrels for 10 months which lends a roundness to the wine without overly oaky. Retailed at approximately $18, this valued Pinot Noir exhibits the flexibility to handle the meats and shellfish. This is all I have for today. Look out for the PART 2 and 3 of Cantonese Banquet. "Ma La" chicken is a famous appetizer in Sichuan restaurants. Again, fans who read my first Sichuan Spices Excursion Part I probably remember "Ma La" is the type of spiciness that numbs your tongue and also heats up your entire mouth. It is similar to the effect of "suicidal" chili sauce on your buffalo wings. The chicken is first cooked in clear broth to retain the pale chicken color. It is then soaked in hot chili sauce and oil at least overnight to allow the favor to penetrate. Ma La chicken is best served in room temperature. Hot oil eel in clay pot is a new style Sichuan dish. Fresh eels are de-boned and blanched in boiled water to remove the slime on the skin of the eel. It is then cooked with hot chili oil and pre-cooked vermicelli made out of green beans. Eel is a fatty fish and if it is cooked right, it is "crunchy" but not too chewy. Curry beef with enoki mushroom stew is also a neo-Sichuan dish which is to showcase another dimension of spiciness - curry. The beef slice used in this stew is thin and semi-fatty, the typical "fatty" beef that is used in Chinese hot pot. The fat beef slice is super tender and well-flavored by the spicy curry broth. This soupy dish is best served with rice. There is no better carb to soak up the flavors of the two soupy dishes than a bowl of steamed rice that is cooked with re-hydrated dried shiitake mushroom. The rice is steamed in the bamboo basket which adds a layer of bamboo aroma to the rice. Contrary to pairing spicy food with a German Gewürztraminer, I recommend the Italian Pio Delle Venezie 2010 Pinot Noir. its hint of eucalyptus mint also helps cool off the spiciness. To conclude this beautiful Sichuan dinner, the deep-fried pumpkin cake sparkled with crushed peanut is a perfect dessert. Mashed pumpkin is dipped into rice flour and deep-fried. This dessert would not be perfect without the Chinese black vinegar dipping sauce. The vinegar is reduced in saucepan to syrup-like consistency and added with sugar. The pumpkin dessert is crunchy and lightly sweet which goes well with a semi-sweet light-alcohol white. The Golan Moscato 2010 (a Kosher wine) ($11.99 per bottle) is a light sparkle wine with only 6% alcohol. It is fruit-forward, exhibiting ripe tangerine characters with subtler notes of peppermint and spice - a perfect wine to end a spicy meal. 3. demonstrating how to cook Chinese dishes at home, pairing different wines with them, and achieving different tasting experience. To have an exciting kick-off, I have recently visited the culinary capital of the orient, Hong Kong in February to discover authentic and sophisticated Chinese food! 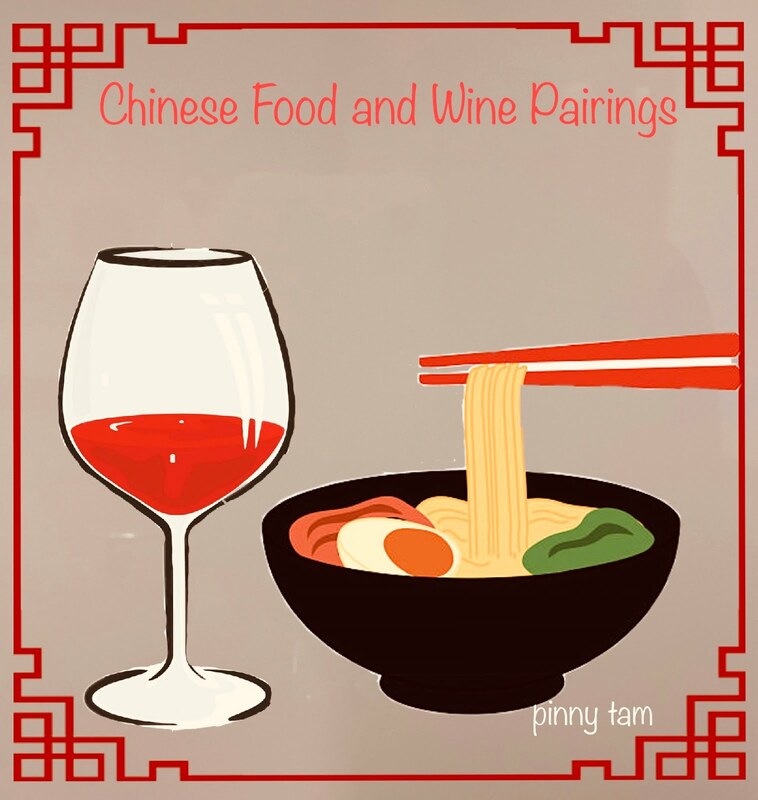 More importantly, I found the perfect wine for you to enjoy while tasting these types of Chinese cuisines. Sichuan Chinese food is fond of by a lot of Americans who love spicy food. 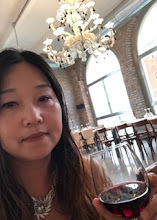 What I had in an authentic Sichuan restaurant in the trendy Hong Kong neighborhood, Tsim Sha Shui is not the Americanized Sichuan cuisine, but something along the line of 4.5 chili icons out of 5 type of food (real deal!). First we started out with pickled sweet sour cherry tomato which is not spicy. In order to have the sweet sour flavor perfectly immersed into the cherry tomato, the skin was removed. This appetizer not only appetites but cleanses your palate. OK, the next dish looks like hanging your wet laundry in a dry Autumn day at your backyard. The dish is called "Yun Nan Bai Rou", translated as paper-thin pork belly and cucumber slices. The major technique of this dish is to cut the boiled pork belly and cucumber so thin that they can see through it under the light and easily hang them on the rack. The meat and cucumber has very mild salty taste to them. You need to dip the combo, 1 slice of pork belly and 1 slice of cucumber in the finely minced fresh garlic, light soya sauce and black Chinese vinegar dipping sauce, and eat the 2 slices together. Don't be fooled by the simple name of this dish, "Shui Zhu Yu", translated as Sichuan boiled fish. Although a little boiled water is used to cook the fish in this chili broth, the "red sea" kind of tells you what the main ingredients of this dish are: fresh red chili, dried red chili, peppercorns, chili oil. Sichuan bean paste. Keep in mind, this dish really is pushing to suicidal heat -- there are two levels of spiciness sensations, "Ma La", the first word means numbing your tongue and the second word means spiciness. Contrary to popular belief, drinking cold water is not as effective as drinking warm Chinese tea to tamp the spices. There are more dishes for this Sichuan food excursion to come. But for Part I above, I would like to pair all this food with a bottle of 2011 New Zealand Marborough County Sauvigon Blanc, such as Kim Crawford's. The passion fruit citrus and ripe stonefruit of this wine pampers your palate after your "battle" with the fire in your mouth. For a bottle that is retailed at a bit under $15, it is a well-balanced, refreshing and pleasant white wine that can be drunken with the spicy cuisine or alone. This is all I have for today. Look out for the PART II - Sichuan Spices Excursion.